If you’re having trouble finding 2016 Jeep Renegade reviews that can give you a perspective on the crossover, the Jeep dealer for Oklahoma City and Tulsa wants to help. 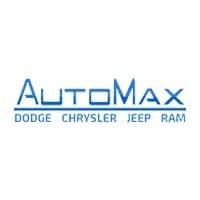 Automax Dodge Chrysler Jeep Ram has read all of the reviews of the Renegade and brought their highlights together to make your new car search easier. Style: We know that the Wrangler’s style isn’t for everyone, and the Renegade gives drivers a sleek, city crossover that keeps some of the rugged off-road DNA of its sibling. 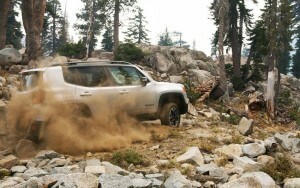 Performance: Two engine options and your choice of front- or four-wheel drive give the Renegade a sense of performance that few competitors can match. Technology: Advanced features like Bluetooth, Uconnect, and navigation give drivers access to a range of amenities to stay connected behind the wheel, and they’re all intuitive to use behind the wheel. You’ve heard what the critics have to say and what we think, but we want to hear your 2016 Jeep Renegade review. Tulsa and Oklahoma City drivers should visit Automax Dodge Chrysler Jeep Ram at 4141 N. Harrison Ave in Shawnee for a test drive. Contact us online or give us a call at (888) 974-0688 to schedule time behind the wheel.